Don't touch those rabbit ears. 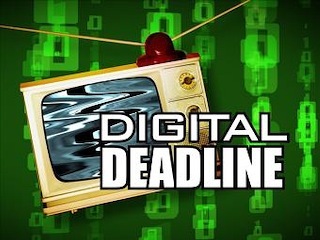 The digital conversion deadline has been extended from Feb. 17 to June 12th, giving non-cable/satellite subscribers or owners of ancient TV sets almost four more months to put off buying a converter box or applying for a coupon. Maybe there'll also be a brief respite in all those dopey ads and urgent on-air tests. 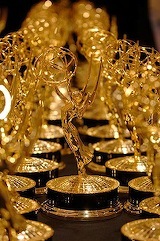 ***The Academy of Television Arts & Sciences has decided to expand nominees from five to six in 10 prime-time Emmy award categories, including best drama and comedy series. This is being done to "accommodate an abundance of outstanding programs and performances," the Academy says in a press release. It's also a "strong statement about inclusivity," expounds chairman/CEO John Shaffner. Alas, this is all all too late for HBO's The Wire, which went without any Academy recognition during its five seasons. ***HBO commendably has picked up Big Love for a fourth season, even though it so far hasn't received much Emmy love. The series currently is in the midst of its third season.